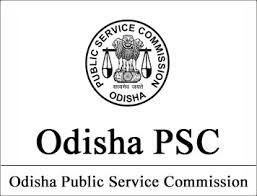 OPSC, also known as the Odisha Public Service Commission has announced OPSC Recruitment 2018 and candidates who are interested to work for the state government in Odisha shall apply for the same. Every academic year OPSC releases their official notification regarding the upcoming vacancy details that are to be filled in, examination dates, admit card details and much more in them. The OPSC is also taking in eligible candidates for MO (Medical Officers) under the Health and Family Welfare Department. A vacancy count of about two thousand one hundred and seventy three shall be filled through the upcoming OPSC Recruitment process. Visit the official web portal of OPSC to apply for the recruitment exam online. 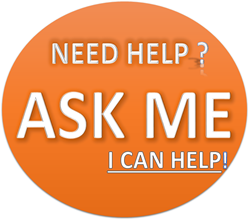 From the home page, make a click upon tab that says ‘Apply Online’. Select down the desired post you are about to appear for from the drop down menu and then read the notifications that are released for the same carefully before applying for them. Candidates are requested to take a print out of the application form, which they have submitted online for future references. Once your online application form gets approved, the OPSC shall be releasing the admit card that can be used to appear for the examination in person. The admit card holds every other detail of an individual who is about to write the examination. The OPSC Admit card 2018 shall be officially announced and the date regarding the same shall be released very soon on their official web portal. Once the admit cards are released online, the candidates who have submitted their application form earlier, shall download OPSC Admit Card to appear for the examination. Obtaining admit card is an important process while appearing for the vacant posts that are to be filled through OPSC Recruitment 2018. Please check Latest Govt Jobs 2018 Information here. The OPSC Exam Syllabus 2018 shall be the same one that was followed in previous academic year. The OPSC Syllabus shall be taken based upon various subjects. The preliminary examination shall be conducted as two different papers. The paper one shall have questions based upon General Studies syllabus, while the paper two shall have questions based upon optional subject syllabus. Check UPSC SCRA2018 Info here. Indian Constitution or Economics or Politics. Candidates who are about to appear for OPSC 2018 Recruitment process must prepare with above mentioned syllabus to easily clear them at the first attempt itself. Unlike applying for the OPSC Recruitment 2018 examinations online, the results for them shall be released online too. The OPSC is yet to release their OPSC Result 2018 dates and it is highly expected to be done very soon. Once the results are published, the candidates who have appeared for the recruitment process shall check with the same by visiting their official website.